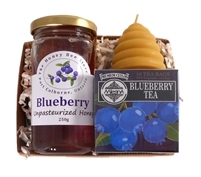 Canadian Honey Gift Sets- All the goodness from the hive for you and your loved ones! The Honey Bee Store, Ontario, Canada. Honey and maple syrup wedding favors, loose leaf tea, bee honey skin care. Honey Gift Sets: Unique gifts from Ontario, Canada, All the Goodness from The Hive!